We provide support to individuals and families going through a tough or busy times due to illnesses, childbirth or whatever else life can bring. We offer delicious homemade meals for pick up at the church. If you or someone you know could benefit from this service please let us know! What’s better than not to have to worry about feeding yourself and eating well at the same time? If you are a chef, a part time cook or if you just enjoy cooking but don’t have the crowd to feed, you are the person we are looking for! Come join us, we need you! You want to help but cooking is not your forté? No problem, we can use your help if you are a gardener; we will gladly take your extra production of fruits and veggies off your hands! We will try our best to accommodate allergies or special diets. 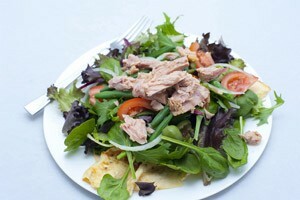 A nutritionist is available for any tips and advice we need to provide you with healthy and safe food.